Hebrew literature from medieval Europe, especially France, Provence, Iberia; literary responses to persecution, expulsion and trauma; memory and literature; history and literature; Hebrew literature and its vernacular analogues and contexts; the writings of medieval Jewish physicians; and Hebrew translation as a medium of cultural exchange. 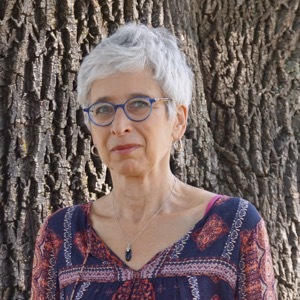 This past summer marked the conclusion of a nineteen-year career as professor of Hebrew Literature at the Hebrew Union College in Cincinnati, OH, and a transition to the Dept. of Literatures, Cultures and Languages at the University of Connecticut in Storrs, where I will be teaching a variety of topics in medieval Jewish literature and culture. My research specialty is late medieval Jewish writing in Europe (especially France, Provence and Iberia), generally with a comparative emphasis â between literary and historical or scientific genres, secular and sacred genres, Hebrew and vernacular writing. Specifically, I am interested in writing and martyrdom, persecution and exile; the scientific and belles letters writing of physicians; liturgical poetry; questions of late medieval âidentityâ and affinity; and medieval manuscripts and translation. Although predominantly a literary scholar, I have a great love for history and situating my texts in the context of historical and historiographical concerns. I serve on the editorial boards of Jewish History and Prooftexts, and maintain memberships in the Association for Jewish Studies, the American Historical Association, the Hagiography Society and other organizations. For over eight years, I have also served on the board of the Solidarity Refusal Network, the U.S. umbrella organization supporting the activity and outreach of conscientious objectors in Israel.